Does that mean that I am a prophet and that you should worship me? I have been pointing out that the plans assumed that there would not be any unintended consequences. I explained what some of the unintended consequences would be. Many people used logical fallacies to justify ignoring the likelihood of unintended consequences. The reasonable thing to do would have been to study the implementation, so that problems would be noticed quickly. Misdiagnosis – giving naloxone to people who have a change in level of consciousness that is not due to an opioid (heroin, fentanyl, carfentanyl, . . . ) overdose. Six of the 25 complete responders to naloxone (24%) ultimately were proven to have had false-positive responses, as they were not ultimately given a diagnosis of opiate overdose. In four of these patients, the acute episode of AMS was related to a seizure, whereas in two, it was due to head trauma; in none of these cases did the ultimate diagnosis include opiates or any other class of drug overdose (which might have responded directly to naloxone). Thus, what was apparently misinterpreted as a response to naloxone in these cases appears in retrospect to have been due to the natural lightening that occurs with time during the postictal period or after head trauma. Failure to ventilate – not providing ventilations to a patient who is not breathing. These patients are often hypoxic (don’t have enough oxygen to maintain life) and hypercarbic (have too much carbon dioxide to maintain life). If the patient is alive, ventilation should keep the patient alive, even if naloxone is not given or if the naloxone is not effective. If the patient is dead, giving naloxone will not improve the outcome. But . . . But . . . But . . . Narcan is the miracle drug! “Every day our paramedics start CPR on someone surrounded by empty naloxone vials… people give the naloxone and walk away,” she (Ambulance Paramedics of BC president Bronwyn Barter) said in an interview. All patients considered to have opioid intoxication should have a stable airway and adequate ventilation established before the administration of naloxone. We keep making excuses for solutions that are neat, plausible, and wrong. Why don’t we start acting like responsible medical professionals and do what is best for our patients? Thank you to Gary Thompson of Agnotology for linking to this for me. Should Basic EMTs Give Naloxone (Narcan)? Is ‘Narcan by Everyone’ a Good Idea? Is First Responder Narcan the Same as First Responder AED? Ann Intern Med. 1999 Apr 6;130(7):584-90. Review. What Happens When Drugs Become Too Powerful for Overdose Kits? When faced with death, we can become desperate, stop thinking clearly, and just try anything. Alternative medicine thrives on the desperation of people who are not thinking clearly. We should be better than that, but are we? A recent comment on The Myth that Narcan Reverses Cardiac Arrest proposes that I would suddenly give kitchen sink medicine a try, if I really care about the patient. Kitchen sink medicine? It’s better to do something and harm the patient, than to limit treatment to what works. Throw everything, including the kitchen sink, at the patient. I will leave you with this question sir and I am interested to hear your answer. You walk in to find your 14 year old daughter that intentionally overdosed on morphine in a suicide attempt and she is in cardiac arrest. How would you treat her? Would you give her Narcan? I think you would. Mike, I am thrilled to read that you do not think that I care about the outcomes of my patients, unless the patient happens to be my daughter. I am even more thrilled that you made my imaginary daughter suicidal. No, I would not use naloxone (Narcan). I would also not use homeopathy, acupuncture, sodium bicarbonate, incantations, or magic spells to treat my daughter during cardiac arrest. Voodoo only works on believers, because voodoo is just a placebo/nocebo. Does really wanting something to be true make it true? 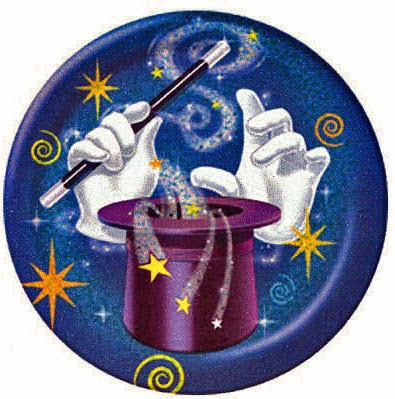 If you believe in magic, the answer is Yes, believing makes it true. If you examine the evidence for that belief, you have several choices. You can acknowledge your mistake, or you can employ a bit of cognitive dissonance, or . . . . Cognitive dissonance is the way our minds copes with the conflict, when reality and belief do not agree, and we choose to reject reality. Naloxone has no role in the management of cardiac arrest. If the patient is suspected of having a cardiac arrest because of an opioid overdose (overdose of heroin, fentanyl, morphine, . . . ), the treatments should include ventilation and chest compressions. If those do not provide a response, epinephrine (Adrenaline in Commonwealth countries) is added. An opioid overdose can produce respiratory depression and/or vasodilation. I can counter both of those with chest compressions, ventilation, and maybe epinephrine. Naloxone works on opioid receptors. What does naloxone add? Does naloxone’s stimulation of an opioid receptor produce more ventilation than bagging/intubating? Does naloxone’s stimulation of an opioid receptor produce more oxygenation than bagging/intubating? Don’t confuse post- or pre–arrest toxicologic interventions with the actual cardiac arrest event. Dead people do not respond to treatments the same way living people do. 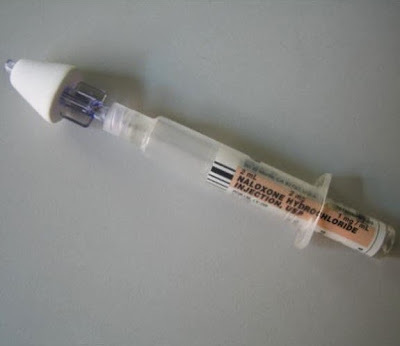 * Late edit – 02/17/2015 10:52 – added the word naloxone’s to the three sentences about the relative amount of stimulus provided by standard ACLS and by the addition of naloxone. Thanks to Brian Behn for pointing out the lack of clarity. A nocebo is an inert agent that produces negative effects. What this means is that nocebo effects are adverse placebo effects. There is no reason to believe that placebos only produce positive effects or no effects at all. Read the whole article about antidotes and cardiac arrest. How can I justify exposing patients to the risks of a treatment that has no known benefit? I give Narcan in arrest. You might not. Neither of us are wrong. Yet. Narcan (naloxone) is one of the safer drugs we use. Suppose that I give a drug in a way that has not been found to be beneficial because I think it is safe as long as I can’t think of a specific problem I can cause. Does that make the inappropriate drug administration safe? Or is it just an example of my ignorance? If a lack of knowledge were a good thing, we should not teach anything about pharmacology. The less I know, the safer it is. Ignorance is safety. We should not teach about the adverse effects of drugs, because as long as I don’t know about the danger, there is no danger. It is only after the danger is known that the danger is real, so don’t tell me about any dangers. In the ACLS (Advanced Cardiac Life Support) guidelines, the American Heart Association tells us that it is wrong to give Narcan during cardiac arrest. Naloxone is a potent antagonist of the binding of opioid medications to their receptors in the brain and spinal cord. Administration of naloxone can reverse central nervous system and respiratory depression caused by opioid overdose. Naloxone has no role in the management of cardiac arrest. Why did I give Narcan? Because ACLS told me not to. Don’t think, just do something. 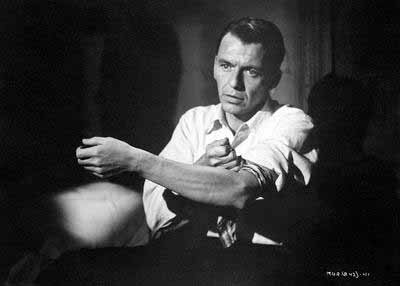 If I do not know of a danger, there is no danger. If I have been told that it is wrong, do it anyway. Repeat the mindless sequence as often as necessary, until the desire to understand patient care has been destroyed. But Narcan reverses respiratory depression and apnea. Narcan can reverses respiratory depression or apnea in a living patient. A patient in cardiac arrest due to a heroin overdose should be treated for a respiratory cause of cardiac arrest. Children and patients with respiratory causes of cardiac arrest should be ventilated and oxygenated. These patients will also be receiving epinephrine (Adrenaline in Commonwealth countries) in the early part of the standard treatment of cardiac arrest. Narcan does not add anything to these treatments the patient is already receiving. But Narcan is safe – and I can’t make the patient any worse. 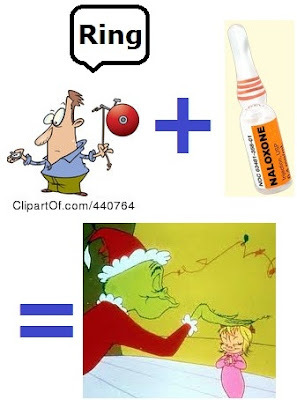 Naloxone is one of the safer drugs we can give to a patient when there is an indication to give naloxone. Even when given inappropriately, naloxone is not very likely to cause harm. If I am pushing drugs because I don’t know what to do, I should be trying to figure out what treatments I can give that might actually help the patient. There is no reason to believe that naloxone might actually help the patient. If I am giving drugs that provide no benefit, I am distracting myself from assessment, which might provide information that can help me resuscitate the patient. As long as I don’t know what I’m doing, I am not wrong. As long as I don’t know what I’m doing, I am both wrong and dangerous. I have been very critical of plans to have first responders treat people they suspect of having a heroin (or other) opioid overdose with naloxone. Would first responders be safer with fentanyl? It is not really the same question, but it does highlight the differences and why I think fentanyl is safer. The patient will be seen by someone more likely to recognize when the treatment is inappropriate. 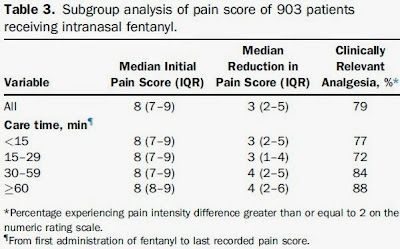 This study looked at IN (IntraNasal) fentanyl given by basic EMTs prior to transport to the ED (Emergency Department). Previous studies demonstrate adverse effects in 3.3% to 39% of patients treated with intranasal fentanyl,3, 4 and 5 providing an ambiguous safety profile. The concentration of fentanyl (Instanyl in this study) is different from what I have available. They use 500 µg/ml, while I only have fentanyl in a concentration of 50 µg/ml. Ten times the volume does make measurement easier, but ten times the volume may impair absorption. Patients were not limited to healthy trauma patients, so these results can be generalized to a variety of patients. We administered 50 μg to patients younger than 18 years, older than 65 years, with chronic obstructive pulmonary disease, or who were considered generally weakened or malnourished by the attending paramedic/EMT. All others received 100 μg. In patients reporting insufficient analgesia, the initial dose could be repeated once or twice after 10 and 25 minutes, respectively. 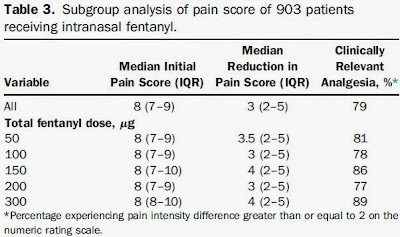 The smaller decrease in level of pain suggests that they were more cautious in administering fentanyl to the comorbid patients. The time between doses did lead to some extended scene times (first dose at 0 minutes, second dose at least 10 minutes later, and the third dose at least 35 minutes after the first dose), but that is usually preferable to causing extreme pain by moving the patient with inadequate pain management, regardless of the proximity of the hospital. What many people fail to realize, doctors included, is that the hospital may only be five minutes away after we are in the ambulance, but we need to manage the pain before we move toward the ambulance. When I call for orders to give more pain medicine than I can give on standing orders, medical command doctors sometimes ask how far away from the hospital we are. I respond that it depends on when the pain is managed. Unless there is some medical condition that requires us to move the patient more quickly, we should move the patient only when the patient feels the pain is managed. How effective was the intranasal fentanyl at managing pain? 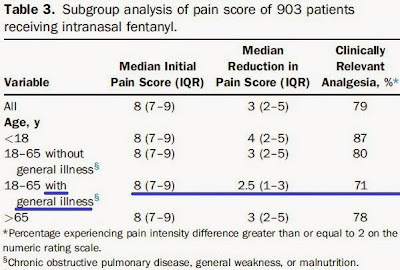 I would prefer to lower the level of pain by more than they did, but I am accustomed to giving IV (IntraVenous) fentanyl, so I am able to titrate it more accurately. Patients received 1 (n=526), 2 (n=333), or 3 (n=44) doses of fentanyl, with a mean cumulative dose of 114 μg. Fewer than 5% of patients required more than two doses. They did give a variety of total doses of fentanyl. The result seemed to be similar regardless of the total dose. This could indicate that fentanyl is just a placebo (unlikely) or that the EMTs did a good job of titrating the medicine to the response. 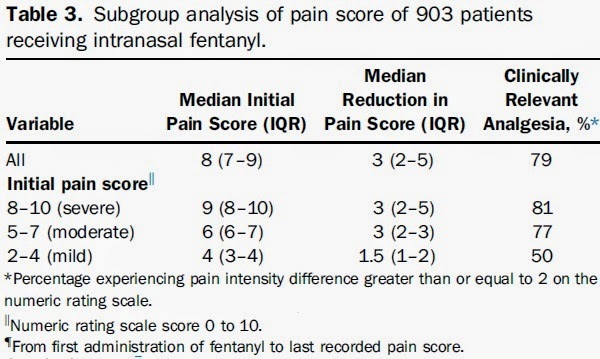 This was a safety study, so how safe was intranasal fentanyl? The criterion for hypotension is a bit different from what I am accustomed to. Even using MAP (Mean Arterial Pressure), I have not considered patients to be hypotensive above a MAP of 60. How much respiratory depression and hypotension did they have? We did not observe respiratory depression (respiratory rate less than 11 breaths/min), GCS score reduction to 14 in 5 patients was transient, and there was no use of naloxone or mask ventilation. Ten patients (1%) had measurable hypotension; however, none experienced syncope and only 1 experienced dizziness, suggesting that these events were of low clinical importance. Indeed, pain relief may be partially responsible for the decrease in MAP. Studies repeatedly show that fentanyl can be given safely to hypotensive patients and half of the hypotensive patients were no longer hypotensive after fentanyl was given in one prehospital trauma study. This suggests that a fluid bolus may be less effective than fentanyl at getting rid of hypotension. As pointed out by O’Donnell et al,20 out-of-hospital undertreatment of pain in pediatric patients may be due to safety concerns. 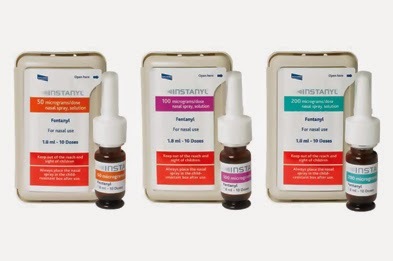 Our study supports the safety of intranasal fentanyl in children. Fentanyl is even safe in children and safe in adults with comorbidities even when given by basic EMTs. It seems that fentanyl is safe and much more effective than not treating the pain. 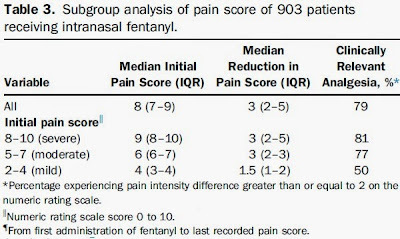 Is IN fentanyl more effective than other pain medicines? We still do not know. Safety of intranasal fentanyl in the out-of-hospital setting: a prospective observational study. Karlsen AP, Pedersen DM, Trautner S, Dahl JB, Hansen MS.
Ann Emerg Med. 2014 Jun;63(6):699-703. doi: 10.1016/j.annemergmed.2013.10.025. Epub 2013 Nov 22. Fentanyl in the out-of-hospital setting: variables associated with hypotension and hypoxemia. Krauss WC, Shah S, Shah S, Thomas SH. J Emerg Med. 2011 Feb;40(2):182-7. Epub 2009 Mar 27. Full Text PDF Download at medicalscg. If one works, does the other work? The idea that first responders can safely give naloxone (Narcan) is popular, but only based on things that we want to be true. Dr. Oz would love it. It has been suggested that giving first responders naloxone is the same as giving them AEDs (Automated External Defibrillators). AEDs are defibrillators that can deliver the same shock as a manual defibrillator, but AEDs do not require all of the education needed to become a paramedic, nurse, PA, NP, or doctor. Unlike naloxone, AEDs are designed to do almost all of the assessment for the first responder. The AED is only supposed to be attached to a pulseless patient, so assessment for responsiveness and the presence of a pulse is expected by the first responder. Is naloxone assessment that simple? Not all patients who respond after naloxone, respond because of naloxone. This is the concept that is difficult to explain to the advocates of first responder naloxone programs. 1. Some advocates deny that this happens, even though it is documented. 2. Some advocates claim that we already know all that we need to know about naloxone. 3. Some advocates also claim that we should not study this because we already know all that we need to know. Since there is overlap among the groups, the failure to understand the problem of improper assessment, especially among paramedics, nurses, and doctors is a huge problem. If we do not understand naloxone, with all of our education in pharmacology, how can we expect first responders to understand naloxone without any education in pharmacology? What kind of education can prevent mistakes? How do we know? If we listen to those who don’t know, but claim that they know all that they need to know, we will be ignoring the possibility of unintended consequences and assuming that we are too smart to make mistakes. Is that reasonable? 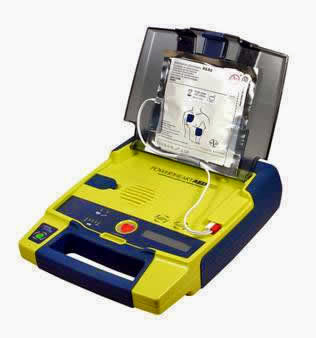 Addition of AEDs to this EMS system did not improve survival from sudden cardiac death. The data do not support routinely equipping initial responders with AEDs as an isolated enhancement, and raise further doubt about such expenditures in similar EMS systems without first optimizing bystander CPR and EMS dispatching. The problem is not that AEDs do not work. The problem is not that AEDs are not safe. The problem is thinking that AEDs are a simple solution to a problem that is not as simple as some would like us to believe. The concept of equipping as many emergency responders as possible with AEDs has been widely adopted,2 and 31 but it should not be blindly adopted without improving the EMS system at all levels. This decision should be individualized to each EMS system based on all of the variables in EMS response. As an isolated enhancement, it is doubtful that addition of AEDs will provide a measurable survival benefit. If first responder naloxone were limited to people found with needles in their arms, less thought would be required. As the presentation of overdose changes to prescription opioids, there is less clear evidence of overdose and more of a need for a good assessment and understanding of pharmacology. First responder naloxone may save lives, when it is administered appropriately. We should study this before implementation. Discouraging us from studying the safety and efficacy of this type of use of naloxone is bad medicine. I’ve heard that PA is looking to follow down the “Narcan for everyone” route, in allowing PD and BLS folks to give intranasal naloxone. . . .
 EMT defibrillation does not increase survival from sudden cardiac death in a two-tiered urban-suburban EMS system. Sweeney TA, Runge JW, Gibbs MA, Raymond JM, Schafermeyer RW, Norton HJ, Boyle-Whitesel MJ. Ann Emerg Med. 1998 Feb;31(2):234-40. I’ve heard that PA (Pennsylvania) is looking to follow down the “Narcan for everyone” route, in allowing PD and BLS folks to give intranasal naloxone. The problem is not that basic EMTs, or first responders, or police are stupid people. The problem is that all people are stupid people. Doctors, nurses, and paramedics do not understand naloxone, so we need to improve the understanding of pharmacology among doctors, nurses, and paramedics, before we increase the ranks of ignorant people inappropriately administering the drug. Naloxone itself is very safe. A quack once challenged me to take 1,000 times the dose of any medicine I chose, while he would do the same with some natural product. I accepted and chose naloxone, with the condition that he first take 1,000 time the daily recommended dose of one of something he considered completely safe and natural – water. The quack had it pointed out to him that this dose of all natural water would be deadly. The quack backed out. Whether naloxone’s standard dose is 0.4 mg (it should not be more than this) or the dose more popular in areas with frequent fentanyl overdoses (2.0 mg) does not matter. Naloxone has been demonstrated to be relatively safe at massive doses. In one small study, volunteers who received 24 mg/70 kg did not demonstrate toxicity. In another study, 36 patients with acute stroke received a loading dose of 4 mg/kg (10 mg/m2/min) of naloxone hydrochloride injection followed immediately by 2 mg/kg/hr for 24 hours. Twenty-three patients experienced adverse events associated with naloxone use, and naloxone was discontinued in seven patients because of adverse effects. The most serious adverse events were: seizures (2 patients), severe hypertension (1), and hypotension and/or bradycardia (3). 400 mg (0.4 mg dose x 1,000) or 2,000 mg (2.0 mg x 1,000) would be higher than the doses tested in these patients, but would still be much safer than 1,000 times the recommended daily dose of water, even though water is safe and essential for life. It does not matter if there is fluoride in the water for it to be lethal, but we should fluoridate water, because only conspiracy theorists think that fluoride is dangerous in drinking water. 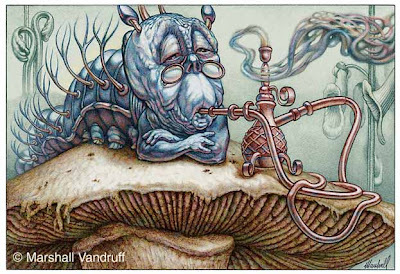 We engage in magical thinking about the drugs we give. The problem is not with the drug. The problem is with the actions of the people giving the drug – us. We still have a big push for giving fibrinolytics (tPA – tissue Plasminogen Activator) to patients with acute ischemic stroke, even though most of the improvement may be due to the transience of stroke symptoms in some stroke patients (TIS – Transient Ischemic Attack). Fibrinolytics do not appear to be beneficial for acute ischemic stroke and there is no reason to give them for a TIA. There is weak beneficial evidence in only two out of eleven studies (only 18% of studies) – and increases in death in most studies of fibrinolytics for acute ischemic stroke. The problem is not with the drug. The problem is with the actions of the people giving the drug. Most of the evidence shows death increased, but we ignore that. Naloxone and tPA are both given based on a rush to treatment and a fear of not giving the standard of care – the Yuppie Nuremberg Defense. Everyone’s got a mortgage to pay. [inner monologue] The Yuppie Nuremberg defense. Will this be a matter of providing naloxone, rather than providing ventilations? An epidemic of naloxone-resistant heroin overdoses due to fentanyl adulteration has led to significant morbidity and mortality throughout the central and eastern United States. According to records of the Philadelphia County Medical Examiner’s office, at least 250 overdose deaths have been associated with fentanyl between April 1, 2006, and March 1, 2007. What about people who take more than one drug? If the opioid is reversed, will there be problems? All were initially lethargic and became agitated and combative after emergency medical service (EMS) personnel treated them with parenteral naloxone, which is routinely used for suspected heroin overdose to reverse the toxic effects of opioids (e.g., coma and respiratory depression). All patients received diazepam or lorazepam for sedation, and signs and symptoms resolved during the next 12-24 hours. Will we identify the patients who have other medical conditions that may respond after naloxone, but not because of naloxone, such as hypoglycemia, stroke, seizures, clonidine overdose, arrhythmia, head trauma, dehydration, syncope, et cetera? The problem is not with the administration of naloxone, but with the faulty assumption that because a patient wakes up after naloxone, the patient woke up because of naloxone. Doctors, nurses, and paramedics do not do a good job of identifying the difference currently. We need to educate them, rather than encourage others to replicate their mistakes. Pharmacology is poorly understood by people with medical education. The documented indication for nebulized naloxone administration was suspected opioid overdose in 70 patients (66.7%), altered mental status in 34 patients (32.3%), and respiratory depression in one patient (0.9%). The indication for naloxone is respiratory depression. The treatment for respiratory depression is to supplement oxygen and/or ventilations. We have decided to give naloxone in stead. Naloxone was used appropriately in fewer than 1% of patients. How good bad will our naloxone by everyone education be? Don’t wait with bated breath – someone my administer naloxone. Heroin: what’s in the mix? Muller AA, Osterhoudt KC, Wingert W.
Ann Emerg Med. 2007 Sep;50(3):352-3. MMWR (Morbidity and Mortality Weekly Report). Free Full Text from the Centers for Disease Control and prevention. The empiric use of naloxone in patients with altered mental status: a reappraisal. Hoffman JR, Schriger DL, Luo JS. Ann Emerg Med. 1991 Mar;20(3):246-52. Can nebulized naloxone be used safely and effectively by emergency medical services for suspected opioid overdose? Weber JM, Tataris KL, Hoffman JD, Aks SE, Mycyk MB. Prehosp Emerg Care. 2012 Apr-Jun;16(2):289-92. doi: 10.3109/10903127.2011.640763. Epub 2011 Dec 22. EMSDoc911 writes about whether naloxone (Narcan) is a good idea for a specific patient presentation. Dispatched for a 50ish yo witnessed cardiac arrest, CPR in progress on my arrival. The pt was pulseless in brady..ish PEA with agonal respirations. He received ~2min of CPR by us when we got a pulse back. Intubated, IV, no code meds as we never got around to it. Per bystanders, the pt “started crying, then collapsed into a code… we got there in <5min. As I started doing my secondary assessment in the truck, I noticed on my neuro exam that the pt has pinpoint pupils. So to Narcan or NOT Narcan??? Note: the pt is 250+ lbs, intubated, with IV, yada yada yada… we are 12min from ED, and it is just me & a firefighter in the back. Should we give this patient naloxone? We should only be giving drugs when they are indicated. 1. Is there any benefit to the patient? 2. Is there any harm? 3. How much uncertainty is there about what will happen? There is always uncertainty, but never certainty. We need to understand how uncertain we are. Certainty would imply that we never make mistakes. Some people do claim to never make mistakes. These are people who never make any decisions (I would call that a mistake) and liars. If you are in EMS and you tell me that you have never made a mistake, then you are either brand new and do not have enough experience to recognize mistakes or you are a liar. 1. What are the possible benefits from giving naloxone to this patient? We do not have to squeeze the bag. We can extubate the patient in the field. This is also one of the possible harms, because extubation does not always go as planned – just ask a doctor who extubates a lot of patients. We have a better idea of what happened. In other words – not much benefit. 2. What are the possible harms from giving naloxone to this patient? He has some stimulants on board and becomes combative. He has some stimulants on board and the catecholamine surge puts him back into cardiac arrest. If the patient has taken an opioid and that is keeping stimulants, this is about the same as deciding if we should give a bolus of epinephrine to a resuscitated patient. We may end up fighting with the patient in the back. Not good for the resuscitated patient and not good for us. Should we be giving drugs to someone on a hunch? The naloxone with wipe out the protective effect of endorphins – the body’s natural opioids. Block the effect of endorphins and we cannot safely use opioids. Naloxone is a competitive antagonist, but what is an effective dose of morphine, or fentanyl, after giving naloxone? How do we know? Can we really titrate naloxone that accurately that we can stop before any adverse effects cause problems? If we answer Yes – we are lying to ourselves. 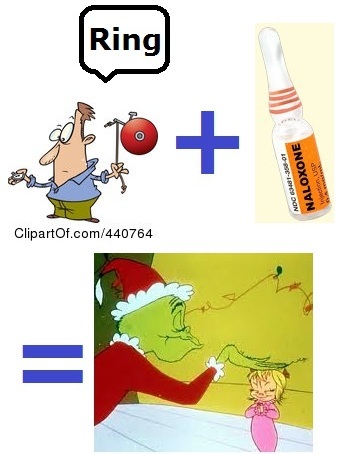 Sometimes this will work, but other times it will not – and that is just in giving naloxone, not in giving morphine to a patient who has already received naloxone to treat a potential overdose of heroin, or fentanyl, or methadone, or tramadol, or hydromorphone, or any of the other opioids used on the street, whether smoked, or injected, or swalloed, taken as a transdermal patch, or rubbed on the gums, or something else. 3. How much uncertainty is there when giving naloxone to this patient? Has the patient taken something that will respond to naloxone? Will the patient be able to tolerate the expected catecholamine surge if the naloxone has a clear effect. Those are just the cardiovascular adverse events. Is the significant risk justified by the tiny possible benefit? Go read what EMSDoc911 wrote, but remember that a good outcome does not mean that the decision was the right decision. If that were the case, betting my paycheck on the flip of a coin would be a good decision if I win, but only a bad decision if I lose. We cannot justify our decisions based only on the knowledge of the outcome, because we don’t know the outcome until after we have taken the risk. Do you ever use naloxone diagnostically, and if so, do you think it’s worth knowing that the nebulised route is an option? our primary hypothesis was that response to naloxone in such patients is almost always predictable on the basis of easily determined clinical characteristics. For AMS (Altered Mental Status) patients, compared with a very simple exam, does naloxone improve our ability to identify the patients with opioid overdose? 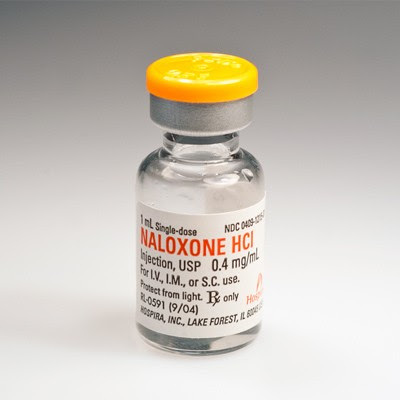 Data collected included the patient’s response to naloxone as well as three specific clinical findings; these findings were respirations, pupil size, and presence or absence of circumstantial evidence of opiate abuse. Today, the circumstantial evidence is probably going to be present less often due to the increased percentage of abuse of prescription pain pills. If the pill container is not present, or the pill container is not the original labeled container, then this might not be helpful. Since there is less of a need to inject the opioids to produce the high, the presence of track marks, or a needle and a spoon, or other drug paraphernalia, may not be present. Would that make much difference? Even more accurate than response to naloxone is a respiratory rate of 12 or less. Click on image to make it larger. The hospital charts of all naloxone responders, partial responders, and the sample of nonresponders were reviewed by one of the physician authors to determine whether opiate overdose was included as a discharge diagnosis. If anything, the response to naloxone would bias the diagnosis toward including opioid overdose in the diagnosis, so the results should have made naloxone look better. Does a response to naloxone mean that the emergency physician can safely rule out other causes of AMS? How diagnostically useful is naloxone? Final diagnoses at discharge from the ED, or the hospital if admitted, were obtained on all 25 responders, 26 of 32 partial responders, and 195 of 673 nonresponders. That is a lot of naloxone for very little response. For the patients most likely to be breathing well enough to use a nebulizer for naloxone administration (≥13 breaths per minute), does naloxone provide any benefit? Only two patients were breathing faster than 12 times per minute, but neither patient responded to IV (IntraVenous) naloxone. Should we expect them to respond to nebulized naloxone? Are these two patients in any way representative of the patients breathing adequately enough to use nebulized naloxone? We should not draw conclusions from such a small group 2 out of 730 patients, but the lack of response to naloxone in both of these patients is not exactly a recommendation for the diagnostic value of naloxone even in the group of patients most likely to receive naloxone by nebulizer. The study indicates that there is no diagnostic benefit derived from the administration of naloxone to all AMS patients. This is probably not what Dr. Reid was suggesting, but it is disappointing to know that many of us have continued to give naloxone routinely to AMS (Altered Mental Status) patients, even though we have had good evidence that we could use diagnostic criteria to identify the patients most likely to respond to naloxone since 1991. While the value of subsequent administration of naloxone in the ED has never been formally analyzed (and cannot be fairly evaluated on the basis of our data), allowing physicians to selectively decide which patients with AMS should receive this drug would undoubtedly retain many of the benefits demonstrated here while allowing medical judgment to determine if any other patients without clear-cut indications might still benefit from its use. I expect that Dr. Reid is not administering naloxone to every AMS patient he sees, but trying to limit the use to those patients most likely to respond. If we give naloxone – nebulized, rectally, buccally, subcutaneously, intramuscularly, intravenously, or just massaged into the skin as part of a diagnostic massage – does naloxone diagnose anything? If the patient is postictal and has an improvement in level of consciousness after naloxone, is that diagnostic? If the patient had a TIA (Transient Ischemic Attack), or a stroke, and has an improvement in level of consciousness after naloxone, is that diagnostic? If the patient is diabetic, but responding to dextrose (or to glucagon) slowly, and has an improvement in level of consciousness after naloxone, is that diagnostic? Yes, we should have a blood sugar, but if we are fixated on naloxone . . . . If the patient had a clonidine overdose and has an improvement in level of consciousness after naloxone, is that diagnostic? If the patient has consumed alcohol and has an improvement in level of consciousness after naloxone, is that diagnostic? The answer to all of these appears to be No. Narcan Nebs – Why? New research doesn’t say.. at Mill Hill Ave Command.